March 7, 1972 While on a trip from Ketchikan to Metlakatla, the 52 foot seiner Gloria Jean went missing and was presumed sunk. An oil slick was spotted near Walden Rocks, Gravina Island, Nichols Passage and is likely the site of the tragedy. All three onboard were lost including owner/operator Norman P Milne (49) of Metlakatla. May 18, 1972 The troller-gillnetter Toni Jean swamped, was swept into the surf and washed ashore on the south end of Kayak Island. The two aboard, owner Phil Smith (51) and crewmen Jeff Miller (23) were thrown into the icy water and only Miller survived. Winds were reported at 60 miles an hour gusting to 100. 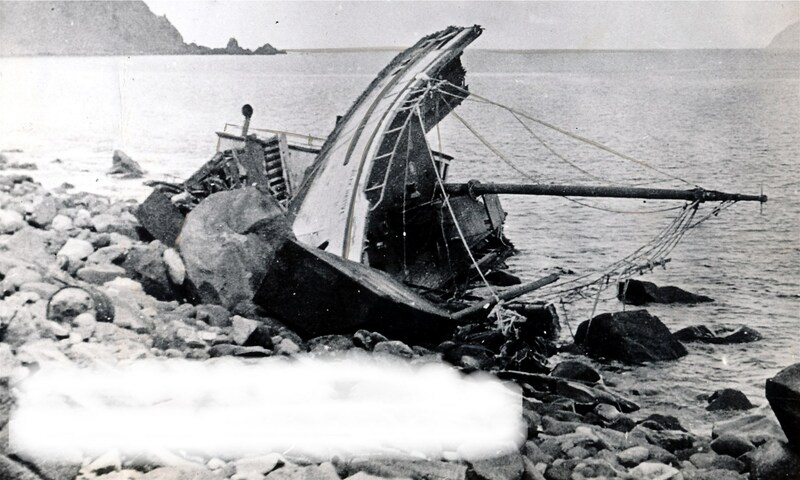 May 27, 1972 The 65 foot crab fishing vessel Addington was lost off of Cape Uganik on the west side of Kodiak Island in the Shelikof Straits. Three crewmembers went down with the vessel including skipper Melvin Torson of Kodiak, Leonard Niemi of Anchorage and John Cheplak of Kodiak. July 11, 1972 Abraham Kvasnikoff (53) of Ninilchik died of an apparent heart attack while fishing in the Shelikof Strait aboard the fishing vessel Shirley Rose. September 1, 1972 Samuel L. Hobbs (45) of Kenai drowned while tending to fish nets from a skiff near Kenai. September 1, 1972 K. Walter Bonifer fell from the Columbia Ward Cannery dock at Alitak and drowned. September 7, 1972 Gilbert Komik (30) fell from a skiff and drowned in Grantley Harbor near Teller. November 1, 1972 The crab fishing vessel Lazarette flooded in rough weather and sank in Peril Strait north of Sitka. Two persons on board were lost. November 19, 1972 The 53 foot seiner Dora R sank north of Sitka in Peril Strait at Dead Man’s Reef with the loss of two of her three crewmembers. Ronald Hanson, skipper of the vessel was “plucked out of the water” by a helicopter crew and taken to a hospital with extreme exposure. Crewmembers James Pope and Roy Robal were lost with the Dora R.
December 24, 1972 The Liberian cargo vessel Pacrover disappeared 760 miles south of Kodiak Island with 30 Korean officers and crew on board. All that was ever found were four overturned life boats, some debris and an oil slick. I haven’t been able to find anything yet. I searched many of the old newspapers but came up empty. Not all cities have digitized their old newspapers but will in time. You can also contact the Alaska State Troopers and fill out an information form to get their records of what happened. I will keep searching. RIP Bryce Ransom.